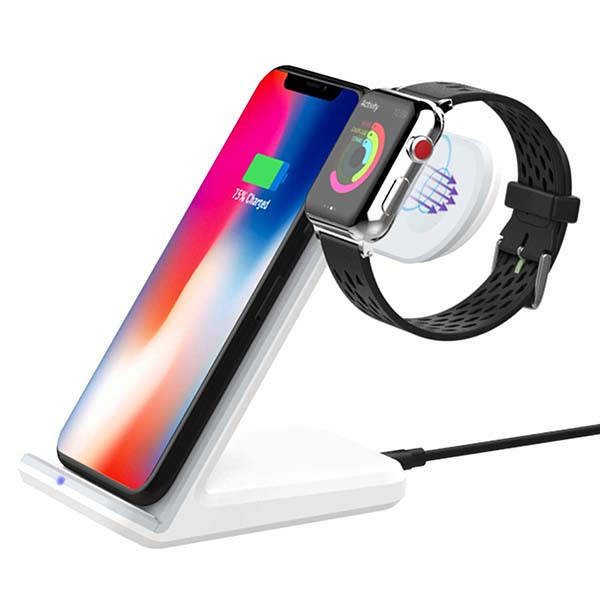 We featured a 2-in-1 wireless charging station last week, but the Moko Fast Qi wireless charging stand may draw your more attention if you have a preference on compact design. The wireless charging dock measures 5.5 x 4.1 x 4.8 inches and weighs 9 ounces. As we can see from the images, the dock shows off a sleek and compact appearance design. With the white-and-gray body, the charger is compliant to various interior styles. The 2-in-1 wireless charging dock comes equipped with two coils in order to support both portrait and landscape mode during charging your Qi-enabled iPhone at 7.5W. And it supports 10W wireless charging for Galaxy phones, but you need a QC2.0/ QC3.0 power adapter. Furthermore, an integrated Apple Watch charger works with 38mm and 42mm Apple Watch Series 2 and Series 3 models. Using built-in overcurrent, overheat, over-voltage and short circuit protection, it protects you and your devices during charging. In addition, the anti-slip silicone pads keep the charger stably standing on any surface. 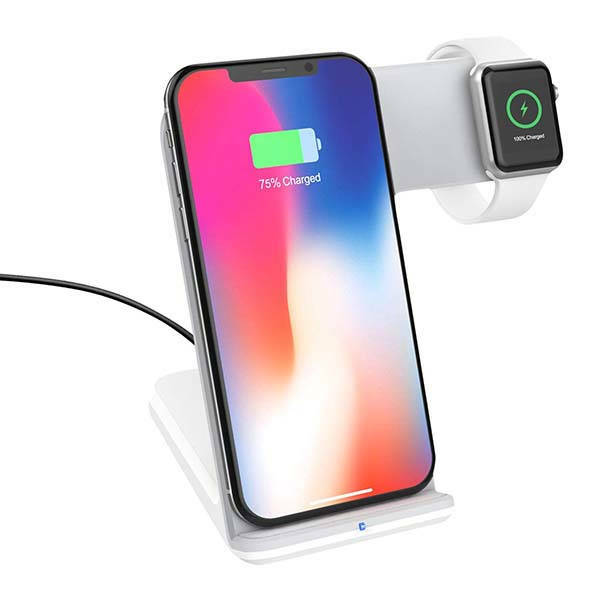 The Fast Qi wireless charging stand is priced at $32.99 USD. If you’re interested, jump to the product page for its more details.